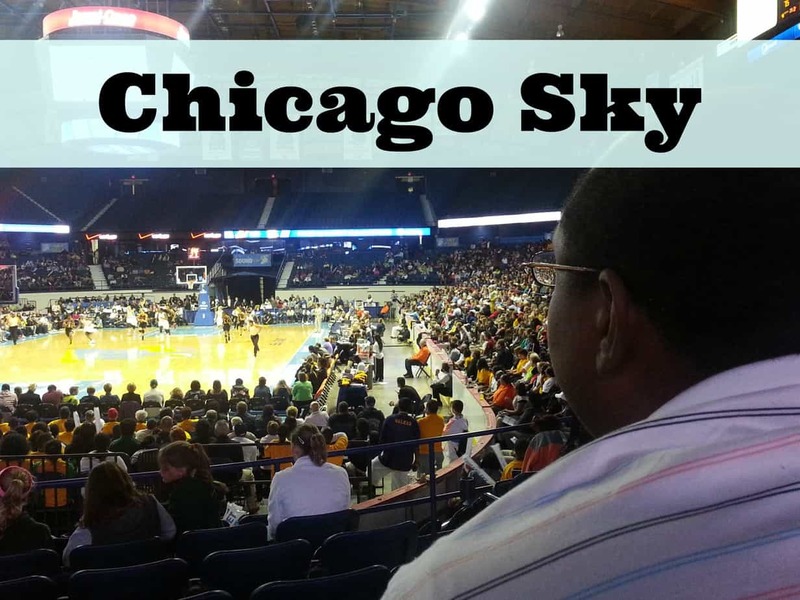 My first time going to a Chicago Sky game was supposed be waaay back when they played at the UIC Pavilion. I had visions of checking the ladies out when we were trying to get our bearings from expansion to contender. I’m a fan that way. If given the chance, I want to start on the ground floor. I watched, and rooted and kept up with the stats, but I never saw them in person. I was really excited about our chances of doing something great in the WNBA when our best player was Candice Dupree. My excitement got kicked up a notch a couple years later when we drafted Sylvia Fowles. I thought for certain I would have gone and attended at least 1 game then. But procrastination and one thing or another always got in the way of my ability to go and watch. I was a fan that never supported. Don’t get me wrong, I bleed Orange and Blue (for both the BEARS and ILL INI), but I don’t go out buying their jerseys or going to games (well… maybe Illinois’ homecoming… I love my school). I figured, this would be an opportunity to actually get to see the women I followed since they were in college. I’m a huge women’s college basketball fan. The ticket prices are more than reasonable, and, especially when they were playing at the Pavilion, I live extremely close. Well, fast forward about 4 years, and throw in a few blog years for my wife, and I was presented an opportunity to see a game up close and personal. Below is my experience. First, I want to say that if not for some inopportune injuries the past 2 seasons, we would have made the playoffs and been a tough match-up for anyone. The first year was Sylvia Fowles, and last year was Epiphany Prince. This year, I don’t think the league stands a chance. We have an X-factor that we haven’t had in forever: Delle Donne! Courtney Vandersloot running the point, Epiphany Prince playing the 2, Swin Cash at the 3, Elena Delle Donne at the 4, and Sylvia Fowles at the 5. We have a starting 5 that is fun to watch. Sylvia controls the paint, Courtney controls the pace, Elena opens the floor, and Epiphany keeps the defense guessing. It’s the best Sky lineup I’ve ever seen, and head coach Pokey Chatman deserves a ton of credit for the team she’s assembled. Young off the bench may be in 6th (wo)man of the year honors if she continues to contribute off the bench as she has. She’s always been athletic, but now, with her jumper falling, she’s dangerous. Swin is the quiet, veteran, savvy calm that knows when to do whatever needs to be done. She’s the pesky, gritty defender, the “find the open (wo)man” passer, and the “hit the shot when we need it” scorer. She’s been that way since college and, yes, I’ve been following her since then. 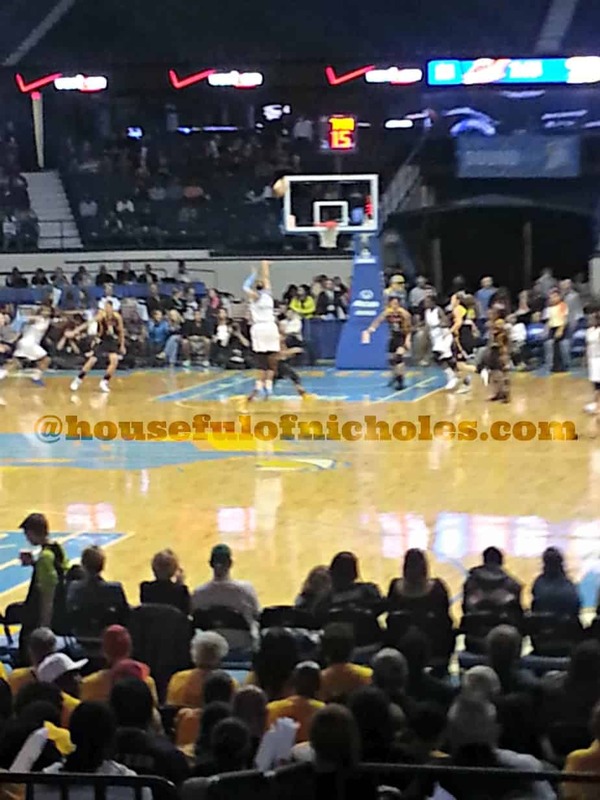 10 minute quarters in a WNBA game go a lot faster than you’d expect. I found it hard to keep track of the time while watching the game. I’d look up and there’d be 8 minutes left, I’d look up again and there were just 57 seconds remaining. It was a strange sensation. Good basketball, which is what this game was by both teams before the Sky started to pull away toward the end of the 3rd period, makes you lose track of time. Trust me, it’s a good sensation to have. The women are waaay more physical than I expected. I’ve been watching women’s basketball for a long time, but i’ve never seen a game live. Thank you for this introduction. Watching online, or from the comfort of my couch didn’t do the hard fouls and strong drives to the basket justice. I loved every minute of it! Epiphany Prince is as cool as the other side of the pillow. She has emerged as a legitimate scorer in this league, and I love watching her work. She doesn’t need to have the ball in her hand all the time. She picks her moments and never disappoints. Fun to watch! Elena Delle Donne is awesome! She’s a match-up nightmare. She can shoot the 3, handle the ball well enough to create her own shot, athletic enough to put opposing defenders in the spin cycle, and, even if you were lucky enough to stick with her, tall enough to shoot over you. It’s a torture chamber. She’s learning how to inject herself into games. I’m going to enjoy watching her grow into a superstar. Sylvia Fowles is a BEAST!!! She is a force and I loved ever minute of her imposing her will in the paint. She snatched rebounds with authority and scored with strong takes to the basket. I think they should feed the post and clear the floor for her a little more often, but, when you win by 20, it’s tough to argue the system. editors note: Not once do I see that he checked his wife out during the game. NOT ONCE. However, Mr. Houseful redeemed himself by writing you a WAY better summary than I ever could have. I loved the game, and I paid attention, but I still don’t have all of the bball vernacular up to order. I’ll do better. Hopefully you enjoyed this review, and if you are anywhere near my fine city, come and join us in the stadium for one game, will ya? We even just snagged two more sets of tickets for games this month. It’s serious in our Houseful, yo!